Perhaps Warcraft came as a big warning sign to Sony Pictures that audiences still aren't ready to flock to video game adaptations. The studio has reportedly bumped its upcoming Uncharted movie from their 2017 release slate. At this time, it sounds like the movie, which has long been sitting in development hell, has yet again been delayed indefinitely. 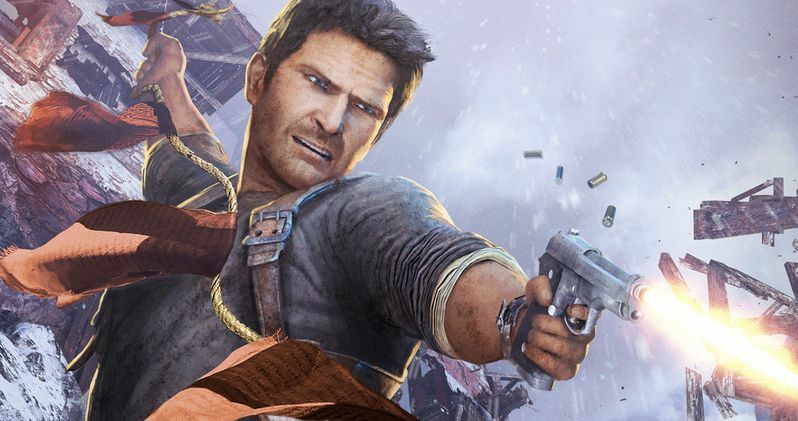 Just over a month ago, it was announced that director Joe Carnahan, perhaps best known for his Liam Neeson wolf thriller The Grey, had come aboard to write a new screenplay for Uncharted. Now, ComingSoon.net claims that Sony Pictures has decided it needs even more time to get the movie right. It was previously scheduled to hit theaters next summer, arriving on June 30, 2017. That would have put Uncharted up against the hugely anticipated animated sequel Despicable Me 3, which is already certified to be a blockbuster if the past two movies and the Minions spin-off are any indication. Also opening on this date is The House from New Line Cinema. The comedy stars Will Ferrell and Amy Poehler, and revolves around a dad who convinces his friends to start an illegal casino in his neighbors' basement after he and his wife spend their daughter's college fund. Uncharted is based on the hugely popular video game adaptation Uncharted: Drake's Fortune from Sony Interactive. The movie will be in the same vein as Indiana Jones with a more modern twist, and follows a descendant of explorer Sir Francis Drake, a treasure hunter named Nate Drake, who is searching or the famed city of El Dorado. His race to find the city becomes quite intense when a rival treasure hunter enters the fray. As they scramble to uncover a golden treasure, they are relentlessly attacked by an army of monsters that are mutated descendants of Spaniards and Nazis. Joe Carnahan is just the latest in a long line of very talented individuals who have attempted to bring Uncharted to the big screen. Seth Gordon was previously set to direct before bailing on the project. Oscar nominee David O. Russell famously tried to get the movie off the ground for years with Mark Wahlberg set to play Nate Drake. Academy Award-winning writer Mark Boal, best known for The Hurt Locker and Zero Dark Thirty, also took his turn at trying to churn out a script. Doctor Strange's Thomas Dean Donnelly and Joshua Oppenheimer were at one time involved. But it has never come to fruition. While Uncharted's fate remains unclear, Video game movies have not fared well at the box office. Angry Birds managed to become a hit, but it is the rare video game adaptation that is an animated family movie, pulling in $107.4 million domestic, $347 million worldwide. This summer's live-action fantasy Warcraft proved to be a substantial bomb in the states, earning just $47.2 million in the U.S., though it became a hit overseas hit, especially in China, taking in $386.3 for a worldwide gross of $443.5 million. It's being speculated that a sequel will be made for International audiences only, and won't even open in the U.S. Resident Evil is one franchise that has fared well on the big screen, with its final installment set to open this January. We also have Assassin's Creed to look forward to this December, but even its parent company Ubisoft is predicting it won't fare well at the box office, which isn't good news.